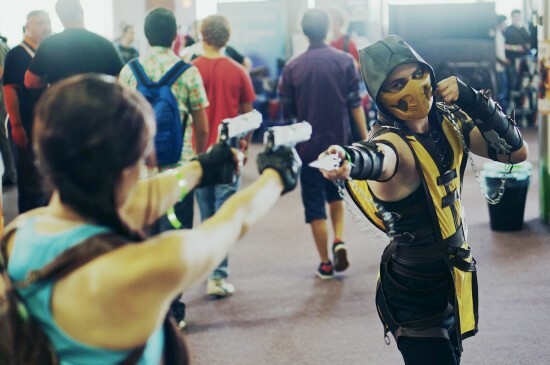 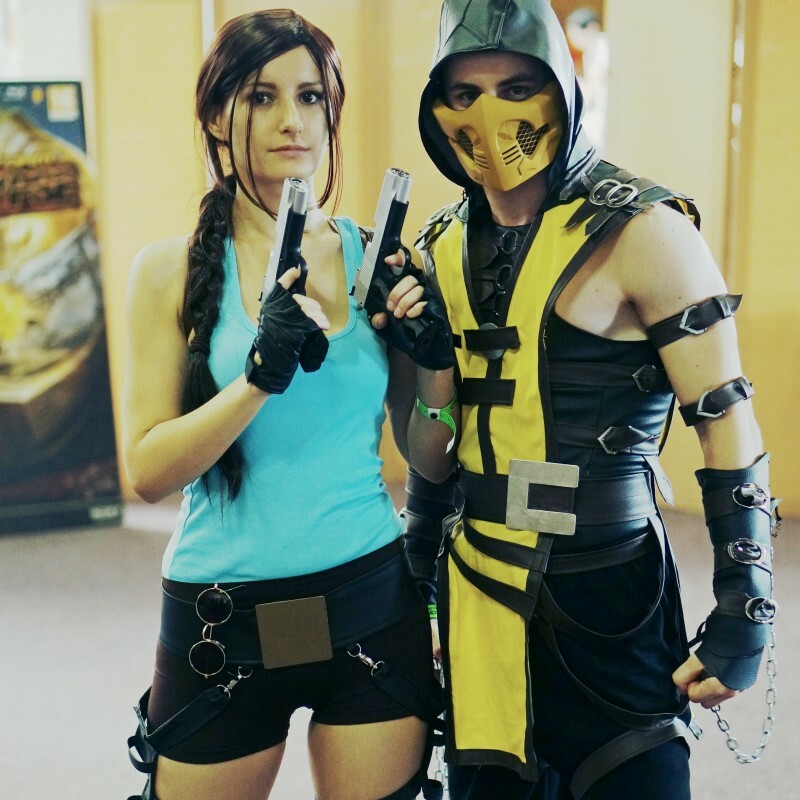 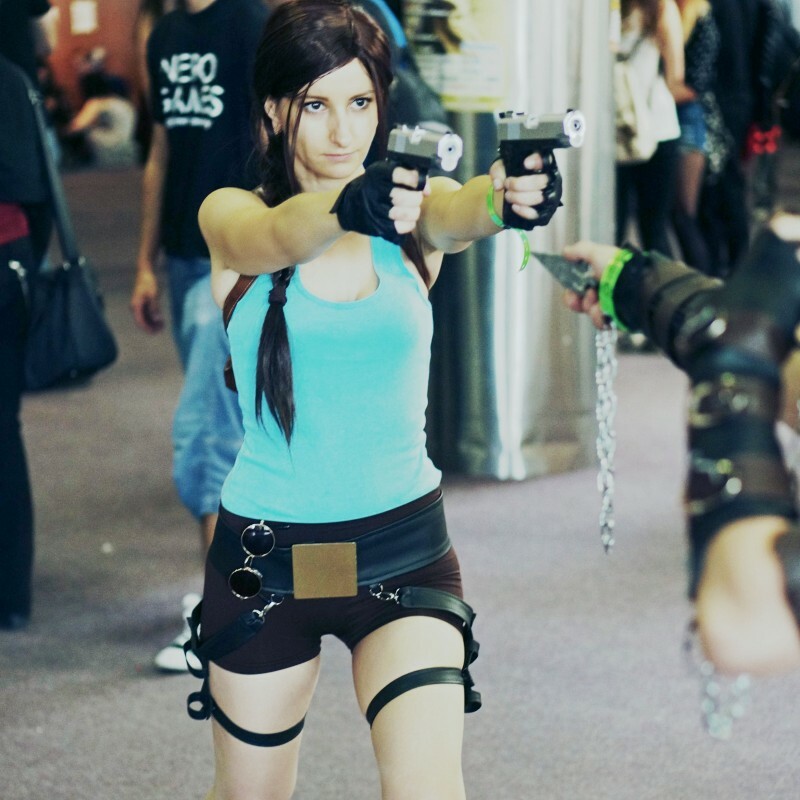 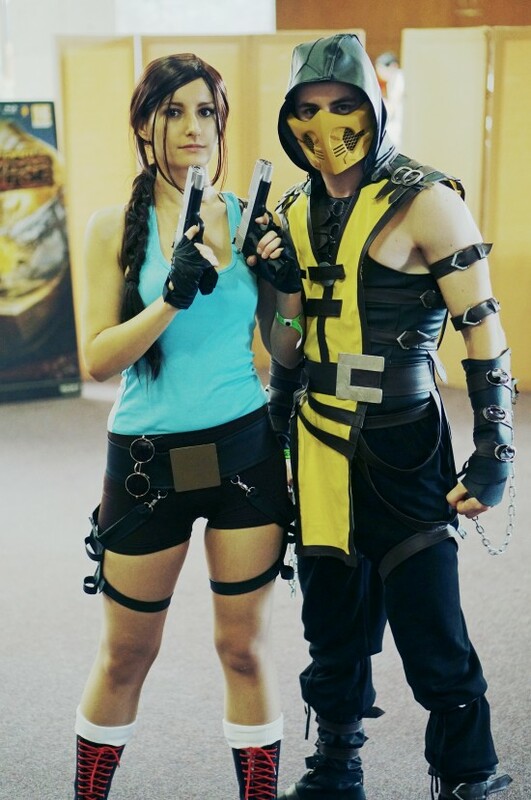 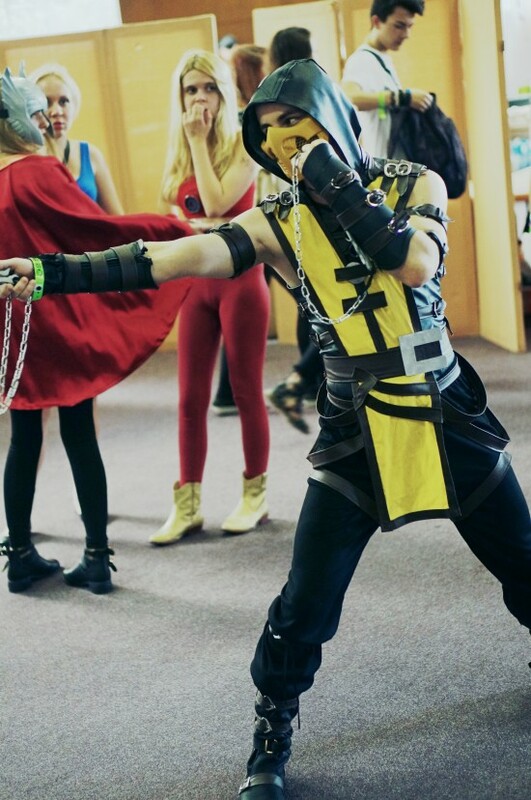 Hi, I usually have some troubles recognizing cosplay characters, because I am an anime noob, but here I have two video game figures I am familiar with :P Lara Croft aka Tomb Raider was easy, but I double-checked that it is Scorpion, the latter from the legendary Mortal Kombat beat'em up franchise. 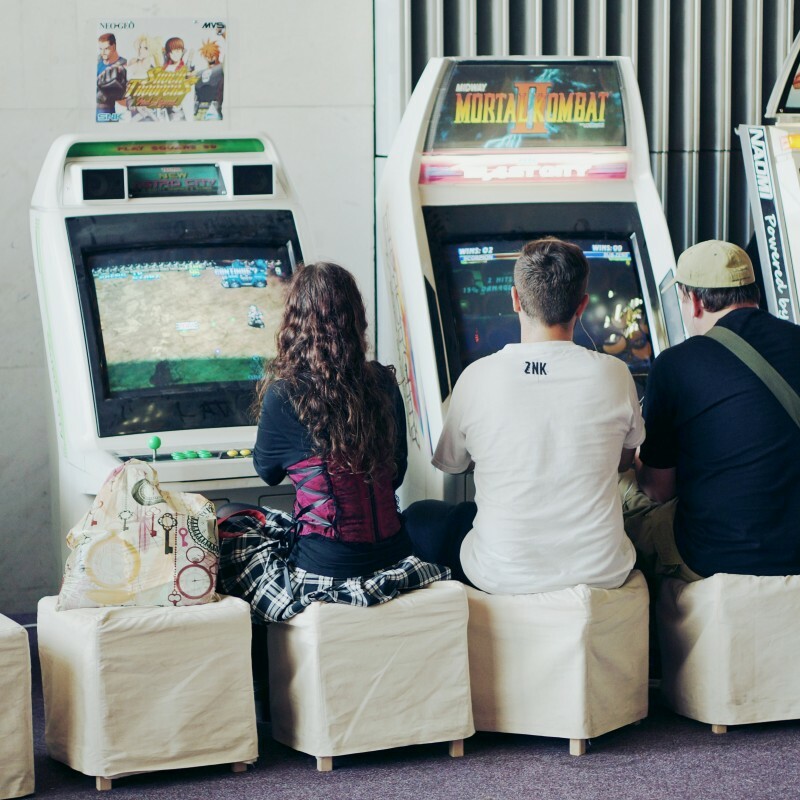 At Comics Salón there was also a nice retro arcade area where you could play the original Mortal Kombat II ... Fight! By the way, how do you like the new Tomb Raider reboot from 2013 showing a young, completely redesigned Lara Croft?